Beluch: The nomadic tribes of Eastern Persia and western Afghanistan (Herat). Pillow-bag (Balisht) normally prepared by girls as their dowry with no help from other women. 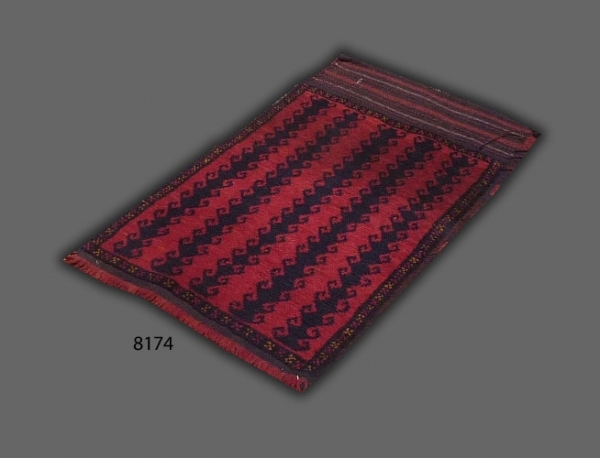 Beluch weaving have an immediate and irresistible appeal which cannot adequately be expressed in words. 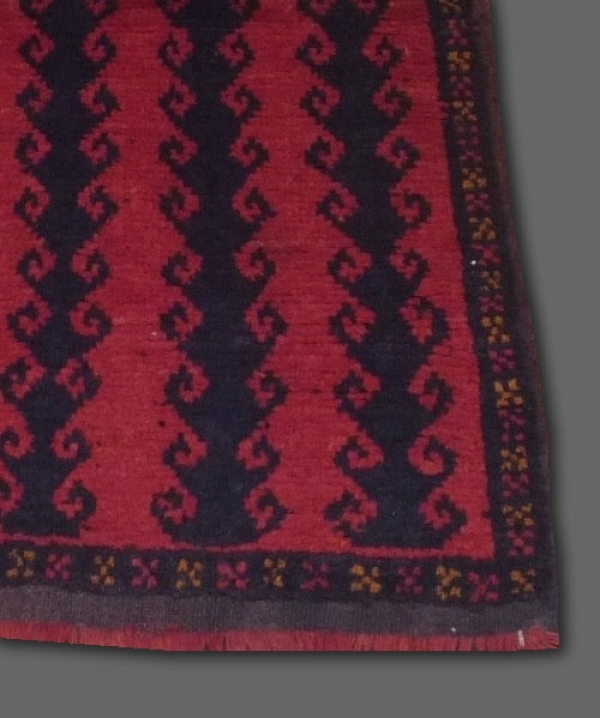 Well made, hand knotted, natural dyes. Circa 1950.